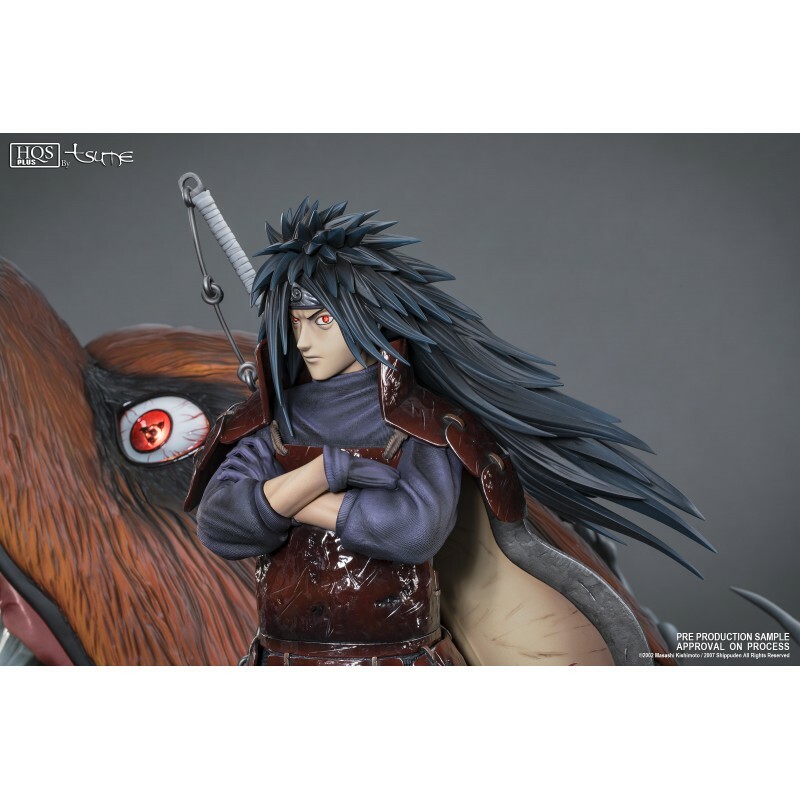 TSUME is proud to present you its first 1/4 scale of Naruto Shippuden, Uchiha Madara HQS+ by TSUME. 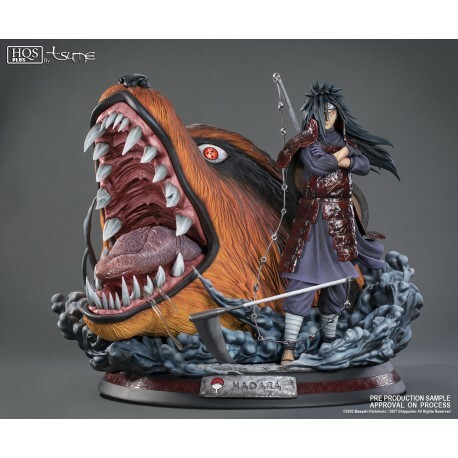 Madara was once the head of the Uchiha's clan, which was at war against the Senju clan lead by Hashirama. The two men managed to make a truce and founded the Hidden Village of Konoha. 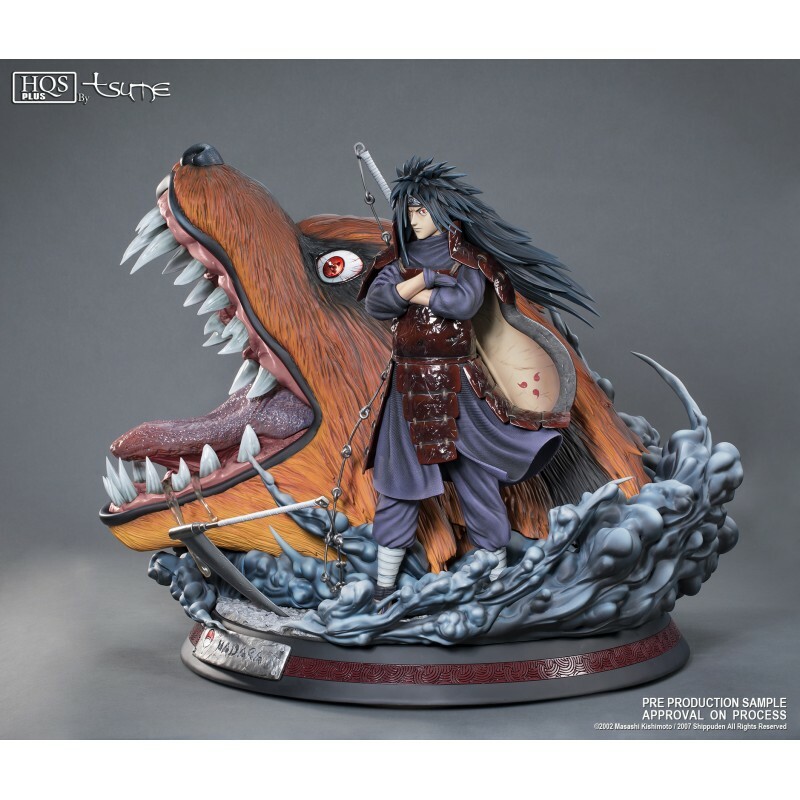 Removed from power by Hashirama's brother, and forsaken by its own people, Madara decides to go into exil, only to come back some times later to attack the village with the nine tails fox, Kyūbi that he submissed with his Mangekyō Sharingan. 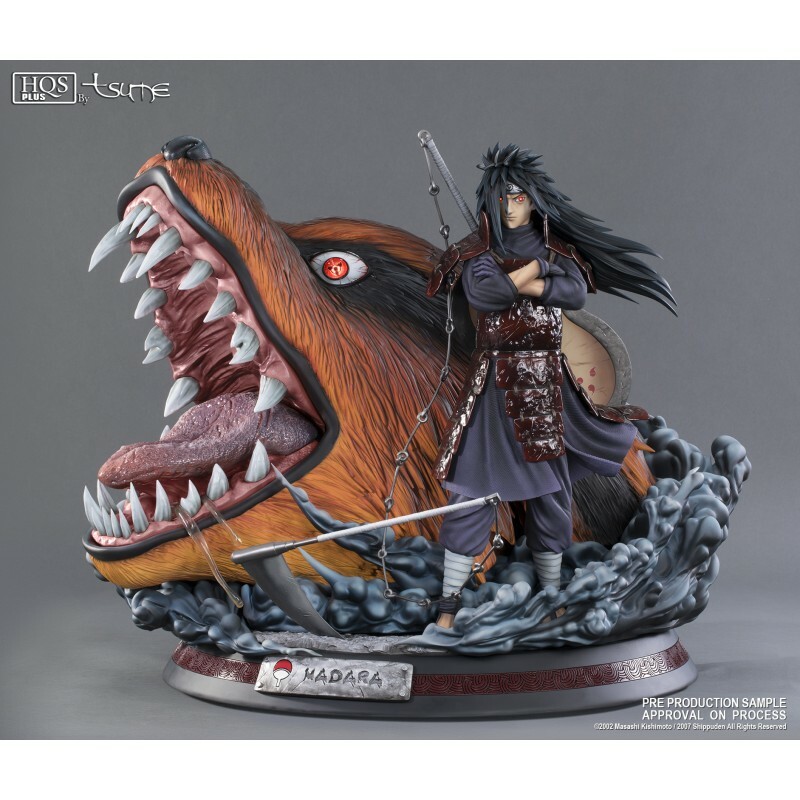 It is that historic moment in the story of Madara that we have wished to represent. 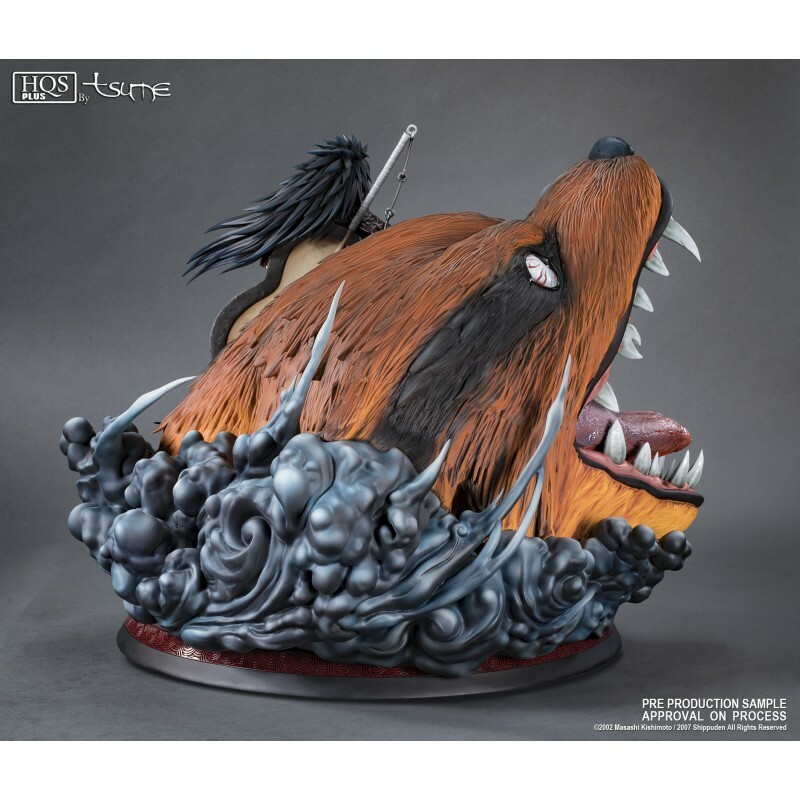 The 1/4th scale allowed for a finer sculpture of the armor and the Kyubi's pelt. 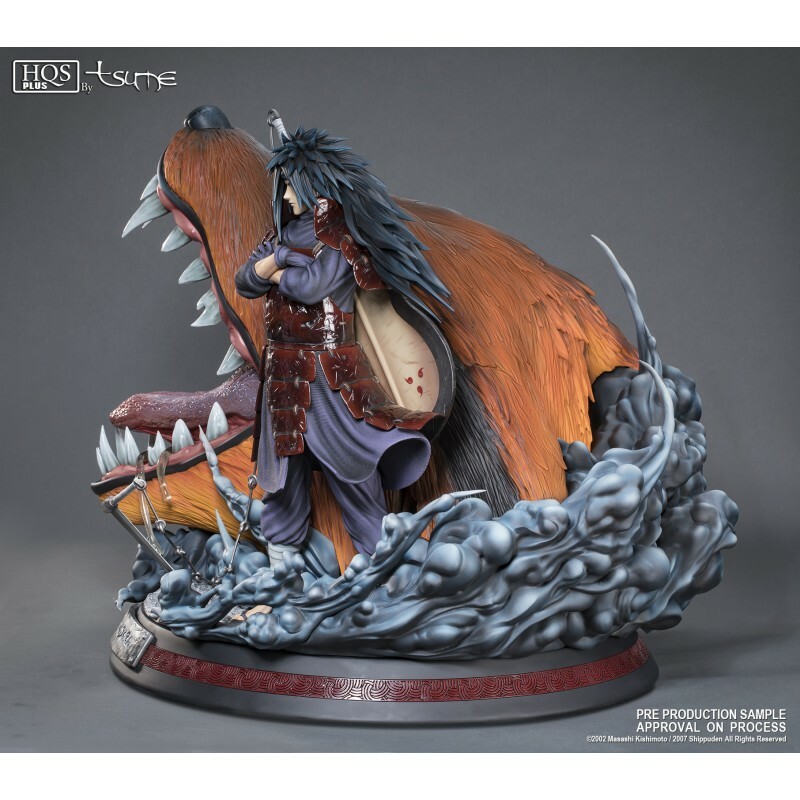 The complex paint work of the cuirass and the pauldrons contrasts nicely on the orange body of the nine tails fox. 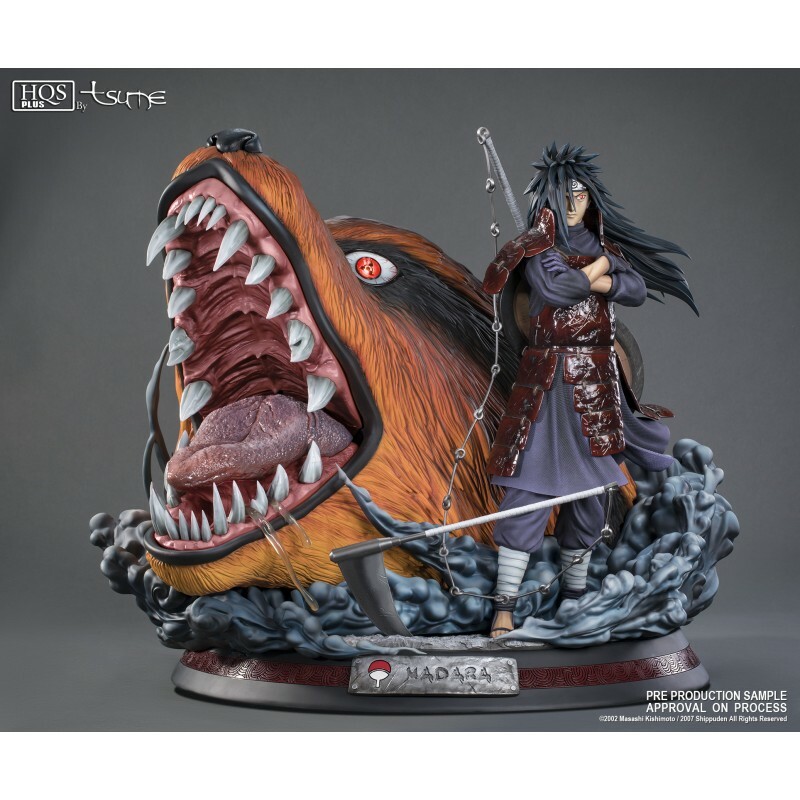 The LEDs included in the eyes of Madara and the Kyubi highlight their Sharingan. 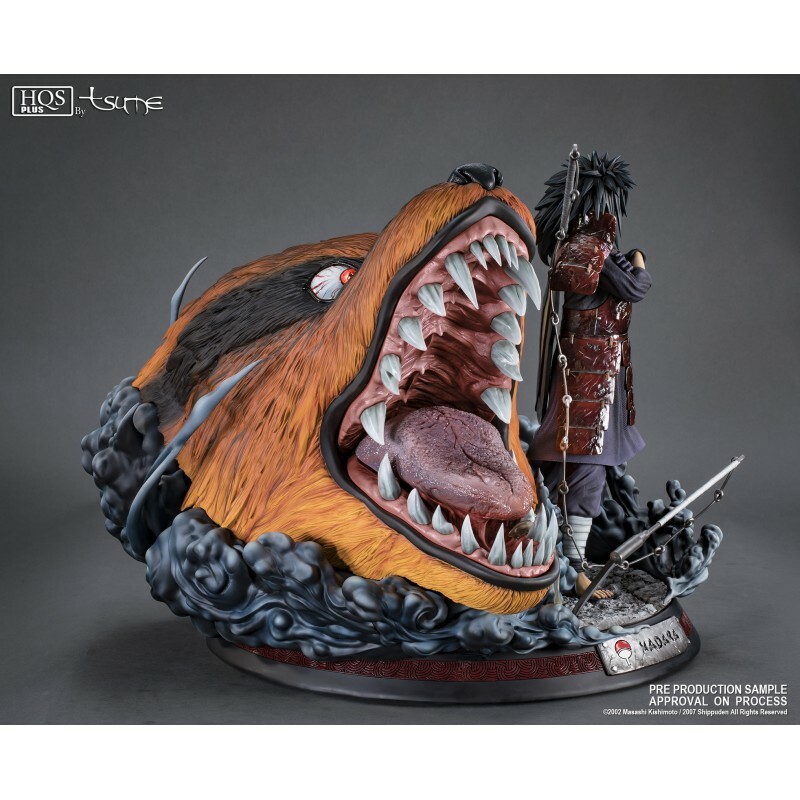 Included one Madara Uchiha statue, the base with the Kyūbi, its metal plate and an authenticity certificate.